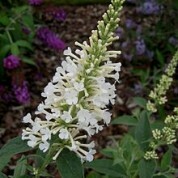 Buddleja Argus® White is a semi sterile cultivar which produces very little seed. The cultivar was bred to be compact and is suitable for smaller gardens. The white flowers are borne in late summer and are attractive to butterflies. 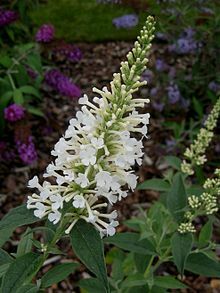 Buddleja Argus White® is a seedling from a cross made between Buddleja davidii ‘Nanhoensis Alba’ and Buddleja lindleyana in 2007 at the Belgian Institute for Agricultural and Fisheries Research. In Northern America the plant is commercialized under the trade name Inspired White.